William Barr, George H.W. Bush’s former Attorney General, a man who was in talks to be a part of Donald Trump’s personal legal defense team, has been confirmed today as Donald Trump’s new Attorney General. He could start his new position as early as Tuesday. Considering the paper he wrote, stating his opinion that Robert Mueller’s investigation was overreaching, this could be pretty bad news for the Mueller investigation, right? So, which is it? Is William Barr truly close to Mueller? Did he make statements critical of the Special Counsel investigation to curry favor with Donald Trump, so he could secure the Attorney General position, and then protect the investigation once he is sworn in? Or, is he team Trump all the way? Is he exaggerating his closeness with Mueller to ease the fears of Democrats? Will he work to impede or keep secret the findings of the investigation? One word from Robert Mueller could tell us which is the case. If Robert Mueller gave any indication if he supports or opposes William Barr’s confirmation, that would give us all the information we need. But those of us who’ve been following the investigation know Mueller will make no such statements. Nevertheless, we could know tomorrow if Mueller is deeply concerned about Barr’s confirmation. 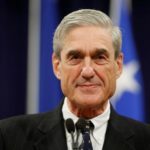 Fridays are the days Mueller has consistently made his biggest moves. If Mueller is concerned about Barr taking over the DOJ, we could see a flurry of activity tomorrow, the last Friday before the William Barr era gets fully underway.